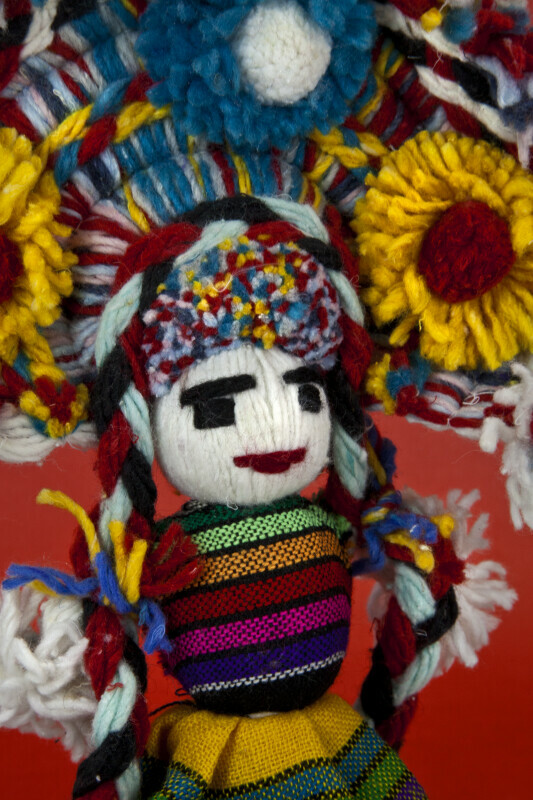 Female doll made entirely with yarn. She has a large head dress with three bright colored pom poms and yard braids in her hair. Her face and body are created with white yarn, and her facial features are stitched with yarn. She is wearing a woven dress. The figure stands 15 inches (38 cm) tall.